Although sometimes eyebrows are overlooked, they can completely change the style of your appearance. For instance, thinner brows can create a girl-next-door appearance while bold, thick ones can create a more dramatic appearance. Regardless of the look that you’re going for, getting your eyebrows done at an Apple Valley eyebrow salon can help you get the perfect look every time. One of the reasons why it’s a good idea to get a professional service in Apple Valley to do your eyebrows for you is because there are numerous eyebrow shaping techniques. There are the traditional plucking and waxing, but one of the most popular methods nowadays is known as threading. Threading provides you with a very precise look, and it’s relatively quick to do. Unlike waxing and plucking that can take up to an hour, threading of both eyebrows can usually be done in 10 to 15 minutes, depending upon the shape and thickness you want your eyebrows to be. 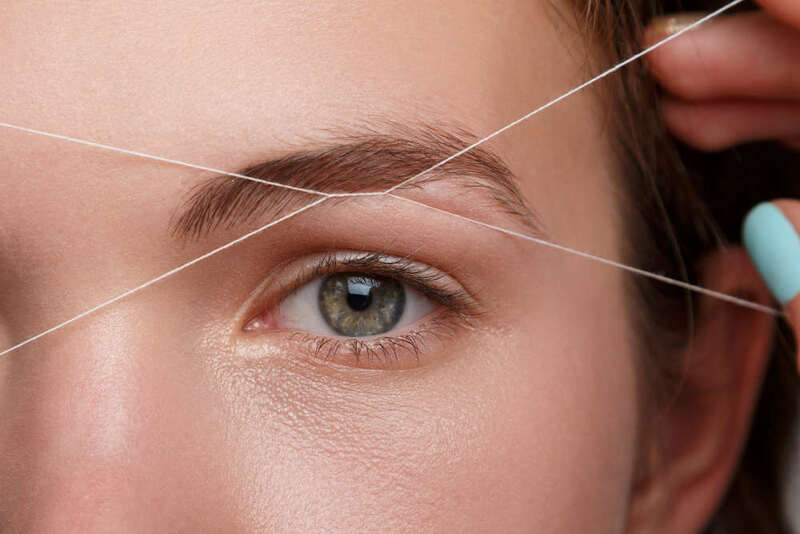 Threading in Apple Valley is conducted by taking two threads and twisting them together quickly to remove an entire line of eyebrow all at once. It’s relatively painless, and any pain that you might experience during each thread line pulled will be over with very quickly. Additionally, it’s ideal for all skins, but especially for people who have sensitive skin. Sensitive skin can react badly to waxing, resulting in the skin peeling, and people who have low tolerances for pain tend to fair better with threading than other eyebrow shaping methods. Threading is viewed as one of the newest and most innovative types of eyebrow shaping available today. However, it has actually been around for centuries. Asian countries have been practicing it since the Middle Ages, but it wasn’t only until recently that it began to make its way over into the Western hemisphere. If you’re interested in getting your eyebrows threaded, your best bet is to entrust the service to a professional in Apple Valley. The reason for this is because threading is a delicate process, although it’s quick, and most of us don’t have the skills and knowledge of threading to conduct the process at home. Even those threading technicians who do possess the skills needed to thread their customers eyebrows oftentimes choose to have theirs threaded by a fellow professional in order to ensure perfection. It’s easy to make a mistake when threading if you’re attempting to do it on yourself.